Opening Day is always hot, but last year shattered records. The only saving grace was the light breeze that blew the sweet smell of drying hay down from the field and into the grouse and woodcock woods. Mr. Brown, the farmer, was happy for he would get in a fourth cut before the temperature dropped and the snow flew. My wife and I did not share his joy and instead swatted mosquitoes while wiping sweat from our brows. I could tell Angela's setter Rebel was happy. His gait was light and his tail cracked with every cast. I planned to water him at seep not far ahead, but Rebel didn't make it that far. He locked up on point in the tangled mess of wild raspberries and bull briars to the side of a Hawthorne thicket. Angela looped around into the opening on the left, and when she was ready, I walked in ahead of the point. A grouse, hunkered down in the protection of the briars and thorns, thundered out. Before it could weave around the trees and disappear into thin air, she dropped it with one shot. Early-season birds in thick cover with full foliage? Her shot was one for the books. The whole of shotgunning is the sum of the parts, shorthand for the fact that a lot goes into hitting game birds. Gun fit is important, positioning is critical, good dog work is essential, and chokes and loads are key. Many bird hunters focus on those elements at the expense of target acquisition which, to my mind, is frequently overlooked. You can't hit what you can't see, so here are some thoughts to consider. It is said that Ted Williams, the Red Sox' legend, had eyesight so keen that he allegedly could see the threads on a fastball. Pilots, other professional athletes, and even photographers have tremendous eyesight. Part of your pre-season routine should include an eye exam to make sure that your vision is sharp and balanced. 2. Look for eye dominance. Of critical importance is that your stronger, sharper eye synchs up with your gun mount. If you're a right-handed shooter then your right eye should be the sharpest. Eye dominance issues come when you're a right-handed shooter but your left eye is stronger. In that instance the view at the muzzle is blurry and distorted; at 20 or 30 yards it's vague at best. The common fix is to change your gun mount to match your dominant eye. That's easier said than done, particularly because requires retraining your muscle mechanics. A simpler fix is to obscure your dominant eye by adding a magic dot, a smear of petroleum jelly, or a piece of tape to the inside-center of the lens of your shooting glasses. That distortion of your dominant eye will add clarity to your weaker eye while providing vision clear enough to deliver a kill shot. The shotgunner's ready position is called that for a reason. 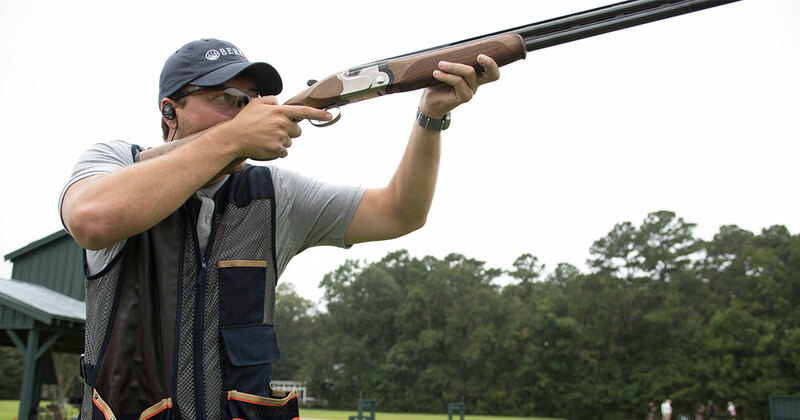 Your body should face the direction of the bird's flight, and your shotgun's muzzle should be forward and slightly above horizontal. Shotgunners who walk through the woods resting their barrels on their shoulder have to swing the muzzle down towards the flushing bird and then must raise it up to track the bird's path. That extra motion is called muzzle rock, and it's a leading reason why birds are missed. Hunters can't focus on a bird if they're thinking about other things. 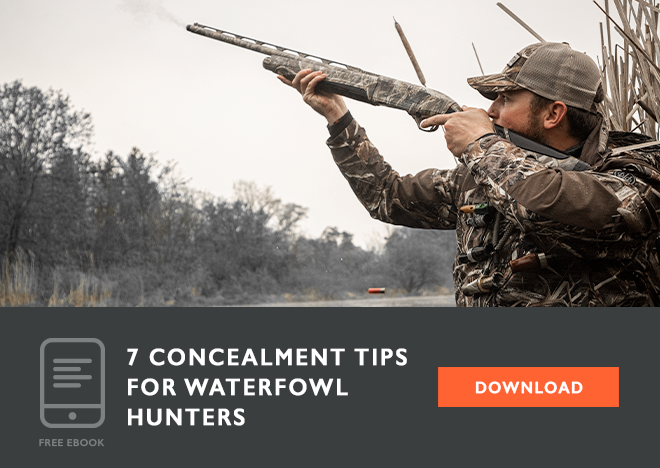 Minimize your thoughts by establishing safe shooting zones with your hunting buddies. Know who is shooting to the left, who takes the center and going away, and who's covering the right. 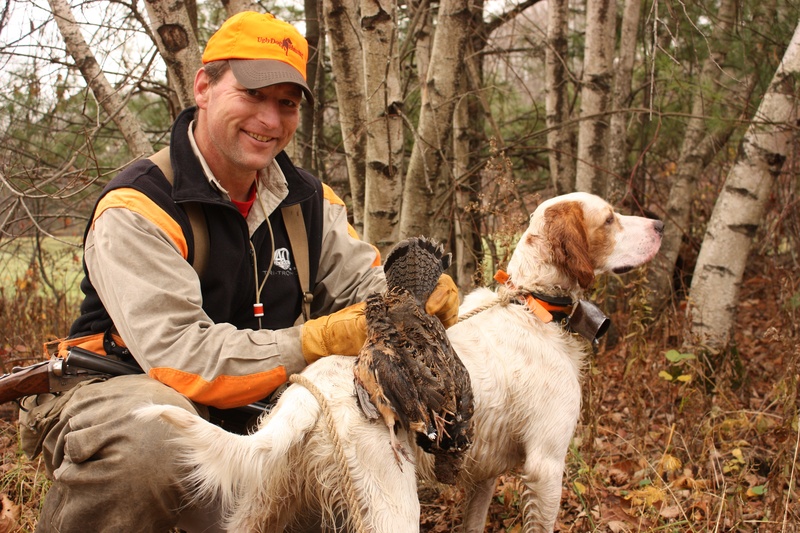 Be aware of how your dog handles birds and establish safe shot protocol. Once you know where everyone is you can concentrate on the bird's flight. Gamebirds flush from the ground which means that your vision should be focused on the area ahead of the point or in the area of an animated flushing dog. Moving grasses or brush can indicate a running bird while a staunch point shows one that is pinned. At the flush, acquire the target as quickly as you can and determine its flight plane. Two factors reduce a shooters target acquisition. The first comes by being startled by the flush. The whirr of wings is common with grouse, mayhem occurs with covey birds, and then there is the cackle of a rooster pheasant. Try not to get too excited by the commotion and instead look hard for the bird. When you see it follow it's path and smoothly mount, swing and shoot your shotgun. The second reason for missing is caused by a rushed shot. Quick is good because it's deliberate. Rushed shots are sloppy and usually result in a poor gun mount...which means your concentration is watered down. 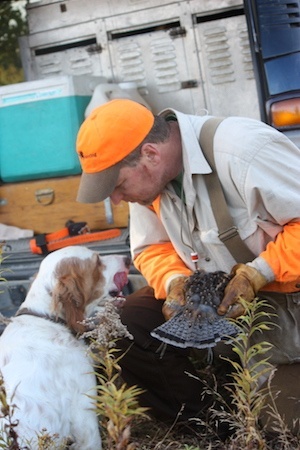 A lot of effort, coordination, and skill goes into harvesting game birds. While you're looking at all of your shooting functions be sure that your concentration is sharp. After all, you can't hit what you can't see.